From working in some of Sydney's hippest restaurants, to cleaning and nannying, more than half of Brazilian students in Australia are paid less than the official minimum wage of AU $18.29 per hour. One Sydney restaurant, Playa Takeria apologised to students, but the Mexican restaurant told SBS Portuguese that "the hospitality sector is tough." Camila* arrived in Australia in April last year and in June 2017 she accepted a job as a live-in nanny to work for an Australian family in Brisbane, where she worked up until two weeks ago. Her responsibilities included looking after two children, but she says she also did at-home work outside her agreed working hours. “When you are an Au Pair, you are responsible for the children only, but I was cleaning the house with the kids around," Camila tells SBS Portuguese. "I wanted to study, but the children were always entering my room on my time off." Her English was basic, so the student thought she had found a good job opportunity when she arrived. "After some time, it became slavery." She says however that the work became "slavery." "They were paying a lot less than the amount per hour in Australia," says Camila. "The minimum for this type of work should be AU $23 [per hour] but they were paying me AU $8." "I had food and accommodation, so they justified it like that. "But, after some time, it became slavery." According to her, students who live in the family home are nannies and they can only work 20 hours per week. Camila's situation is not unique. More than half of Brazilian students in Australia are paid less than the official minimum wage of AU $18.29 per hour, according to the Wage Theft in Australia report released by the Migrant Worker Justice Initiative. the largest report ever done on workplace exploitation of backpackers and international students, with temporary visas. Mais da metade dos estudantes brasileiros na Austrália ganha menos do que o mí­nimo oficial, de Aus$ 18,29 por hora trabalhada. Vítor*, a Sydney-based student, works in the hospitality sector, including at the hip Darlinghurst Mexican restaurant Playa Takeria, which closed it's doors in December. Vitor says he was also paid less than the minimum wage. "They paid below the minimum wage at the time: AU $14 for kitchen hands and AU $15 for waitresses," he says. All the students interviewed by SBS Portuguese for this report have been paid cash-in-hand in the past. According to the report, cash payments could imply tax evasion, but Diana Hauschild explains that companies can use cash-in-hand if the transactions are recorded. “Cash-in-hand can be legal," she says. "Many companies receive money as payment for their products and services, but the company must declare tax." "Money can also be used to pay employees, as long as they are registered via Tax File Number and they receive a pay slip with the full amount. "If it is with an ABN, it can also be in cash with an invoice." "That is not right. The employee loses the superannuation and the company is not declaring that amount, and that is illegal." Restaurant worker Vítor says “We worked more than 30 hours, but they declared it as 20 hours [for tax purposes] and they paid the rest in cash." He worked for a Brazilian barbecue restaurant and also for the Mexican restaurant Playa Takeria, in Darlinghurst. "When they sent it to the Taxation Office, it seemed it was all right. Many workers only got cash payments." "That is not right," says Diana Hauschild. "The employee loses the superannuation and the company is not declaring that amount, and that is illegal." Au pair Camila says she was paid in cash too. “They paid cash-in-hand. "I never received (payment for) extra-hours or anything like it. "It was an informal agreement. "They invited me to work for them and I said yes." "The correct procedure is (for the family) to use a pay slip, because they will pay tax and the superannuation," explains Diana. Fraud is also common with the Australian Business Number (ABN), according to Ana*, especially in cleaning jobs. Another Brazilian student based in Sydney where she works as a cleaner, Ana was compelled by the employer to register an ABN. “I can’t declare the number of hours, only the total, so it seems I get AU $36 per hour," Ana says. "If I don’t accept it, someone else will." “They wanted me to work much more than the legal limit." Diana Hauschild confirms that the number of hours worked is not meant to be declared on the Tax Return. According to her, independent contractors should work for a variety of companies. If the students are working for one company only, they must receive Superannuation. The students say it was common to work more than the legal limit of 20 hours per week, but they say they had no option. "We worked nine hours per day, every day, from Monday to Friday, from 7am to 4pm," says the cleaner Ana. "I worked eight to nine hours per day, three days per week," says Joana*. She worked price-tagging clothes - a job which was performed not on shop premises but at the shop owner's house, with no contract or pay slip. "They determine our working hours because the job needs to be done," says Joana. "They wanted me to work much more than the legal limit," says the au pair Camila. The Fair Work Ombudsman (FWO), which provides information and advice, investigates workplace complaints and enforces workplace laws, last year financed research conducted by the University of Adelaide, to investigate the matter. According to the Fair Work spokesperson Mark Lee, the Ombudsman is aware of the vulnerability of international students. "We are aware that young people, in particular young people from overseas backgrounds, are more vulnerable to the exploitation in the work place for a number of reasons," says Lee. "We are in the process of implementing a number of measures to address that. "Some of the initiatives we have undertaken is to make our website available in 40 different languages. "We also have an anonymous tip off tool." "We are aware that young people, in particular young people from overseas backgrounds, are more vulnerable to the exploitation in the work place for a number of reasons... We also have an anonymous tip off tool." The students say that exploitation is common practice among employers. According to the Brazilians, companies are trying to avoid tax payments. "I heard of many restaurants that schedule many trials in a week because they are short-staffed and they don't want to pay workers," says Vítor. "It is business, to take advantage of vulnerable people. They (the employers) do not want to pay the government," adds Camila. Payment off the books makes it harder for employees to report bad working conditions and employers. "When you work cash in hand, you have no way to report if there is a problem. If the boss don't pay you, you need to do like the Brazilians: ask other people to call the guy until he pays you", says Vítor. Some Brazilian workers have taken to Facebook groups to ask members of the community to contact employers in order to pressure for payment. There is even an specific group for that purpose called 'Black List in Sydney' (A Lista Negra - Ciladas em Sydney). "We are demanded to be quick, sometimes with no time to eat. Some bosses don't even pay for the time we spend on our lunch break", says Ana. "There is no reason to complain," argues Joana, because they accept the work. Fair Work spokesperson Mark Lee tells foreign students that they are entitled to complain, just as a citizen or resident would. He says that the Fair Work Ombudsman has signed a protocol with the Immigration Department to protect visas of students exploited in the work place. "About half of young international students think that, if they were to complain or to raise their concerns, either nothing would happen or the situation would get worse," says Lee. "For many of those students, what they are worried about is their visa status." "If a worker has breached their visa conditions as a result of being exploited in the work place, they can come to us...we can make sure that they don’t suffer any negative consequences, such as having their visa cancelled or being deported." Lee assures such students though that they shouldn't be worried. "That is why we have made this arrangement with the Department of Immigration," he says. "And that is to introduce a protocol where, if a worker has breached their visa conditions as a result of being exploited in the work place, they can come to us and they can give us that information and we can make sure that they don’t suffer any negative consequences, such as having their visa cancelled or being deported." He also says though, "There are some conditions. It would require the worker to promise to not breach their visas again in the future." "Employers take advantage of the fact that we are students, immigrants who need the money, and they exploit." Despite the problems, the students say they have no option because employers put pressure and they have to survive in Australia. "Unfortunately, you cannot live in Sydney working 20 hours per week. It's really expensive here," says Joana. "I thought it was a good opportunity for me," explains the Brisbane-based au pair Camila. "But I had no idea about how much I should be paid or that my job could be considered slavery." "I am a bit wrong too, but I did not know." "I knew what I was doing, and I accepted because I needed the money," says Sydney-based hospitality worker Vítor, who worked at Darlinghurst Mexican eatery Playa Takeria. "Everyone wants to work because they need the money, but it's even more important when you just arrive." "Employers take advantage of the fact that we are students, immigrants who need the money, and they exploit," concludes the Sydney-based cleaner Ana. Mark Lee of Fair Work says that it is part of the Fair Work Ombudsman's role to make sure that businesses are paying their workers correctly and that they are not engaging in those unlawful practices." "So, if this is what your listeners are experiencing in their work place, we strongly encourage them to come forward to us," he says. "We can offer them that protection in relation to their visa if they are cooperating with us on an investigation." SBS Portuguese was able to contact two of the businesses accused by the Brazilian students of worker exploitation. The manager of the cleaning company who allegedly demanded that workers create an ABN refused to record an interview, but says he does not work with cash in hand. He also insists that all the company's financial operations are "on the books." The Mexican restaurant Playa Takeria, located in Darlinghurst in Sydney, was accused of paying students in cash, with no contract or any kind of record. The Fair Work Ombudsman confirmed that it provided advice and assistance to a number of workers in relation to Playa Takeria Pty Ltd last year, however the matters were resolved without enforcement action and the Fair Work Ombudsman is not currently conducting any inquiries relating to this employer. The restaurant shut down in December 2017, but a man name Ric responded SBS Portuguese via email. Ric apologises to the students, but says that the hospitality sector is tough and the owner of the business was also student who had difficulties with cashflow. A Spokesperson for the Department of Home Affairs explained that a Joint Agency Taskforce named 'Cadena' - comprising the Department of Home Affairs, the Australian Border Force (ABF) and the FWO - was established in June 2015 to target those involved in organising visa fraud, illegal work and the exploitation of foreign workers in Australia. The Spokesperson also encourages visa holders who may be working illegally to contact the Deparment, and for workers who believe they have not been paid their correct entitlements to report their circumstances to the Fair Work Ombudsman (FWO). "Where temporary visa holders with a work entitlement may have been exploited and have reported their circumstances to the FWO, the Department will generally not cancel their visa, detain or remove them from Australia, providing the visa holder commits to abiding by visa conditions in the future; and there is no other basis for visa cancellation (such as on national security, character, health or fraud grounds)", he says. For more information, visit the website Fair Work Ombudsman or phone 13 13 94. Follow SBS Portuguese on Facebook and Twitter. Os funcionários que recebiam menos do que os outros foram discriminados por causa da sua aparência, por não falar bem inglês, por causa do tipo de visto e até mesmo por serem jovens. Visto para a Austrália... o que nos espera em 2018? Aqui você encontrará as mudanças mais importantes esperadas em 2018, desde a implementação do Visto por Escassez Temporária de Profissionais (TSS/Temporary Skills Shortage Visa) e as mudanças na Lista de Ocupações Qualificadas (SOL/Skilled Occupation List), até o visto provisório antes de se obter a residência permanente, visto para os pais e para casais. 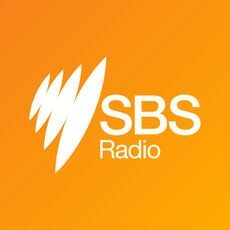 Reportagem exclusiva da Rádio SBS: exploração generalizada de estudantes vietnamitas em pequenas empresas de Melbourne. Anúncio do fim - ou "metamorfose" - do visto 457 deixou muita gente desnorteada. Acompanhe aqui o podcast da reportagem e a entrevista com o advogado de imigração Duarte Bazaliza, de Sydney (a partir dos 8'30"), respondendo às dúvidas dos nossos ouvintes. Quais são as vantagens de obter a cidadania australiana? Milhares de pessoas, vindas dos quatro cantos do mundo, tornam-se cidadãos australianos no dia 26 de janeiro, o Dia de Austrália. Você sabe quais são as vantagens da cidadania, em comparação à residência permanente? "Brasileiros são dos imigrantes mais qualificados de toda a Austrália"
"Brasileiros são os imigrantes com mais diploma universitário de toda a Austrália" e "a gente levou um susto ao descobrir isso", diz o Dr Eduardo Picanço Cruz, da Universidade Fluminense, autor de uma pesquisa sobre emprendedores brasileiros na Austrália. Uma pesquisa mostra que o índice nacional de desemprego para jovens de 15 a 24 anos de idade está por volta de 12.2 por cento. A pesquisa, organizada pela organização Brotherhood of St Laurence, aponta que um grupo em particular está tendo mais dificuldades. Os jovens australianos imigrantes. As barreiras mais comuns para jovens estrangeiros é o nivel de proficiência na lingua inglesa e conhecimento do mercado de trabalho australiano. Estudantes estrangeiros explorados no trabalho vivem sob "véu do silêncio"
Aumenta a pressão sobre o governo federal por uma anistia para estudantes forçados a violar regras do seu visto no trabalho, na esteira do escândalo de exploração de trabalhadores vulneráveis nas lojas 7-Eleven da Austrália. O programa Four Corners, da TV ABC, comparou o que acontece nas lojas 7-Eleven à escravidão moderna. É de conhecimento geral o caso de alguns estudantes brasileiros na Austrália, mas ninguém fala abertamente. Exploração de estudantes estrangeiros nos 7-Eleven da Austrália? O parlamentar federal Adam Bandt, do Partido Verde, disse que a alegada exploração de funcionários dos 7-Eleven, recebendo até metade do salário mínimo, deve ser investigada com um inquérito especial do senado australiano. Estudantes dormindo em lavanderias, corredores transformados em banheiros, com chuveiros pela parede, um apartamento de 3 quartos com 58 camas, outro de um quarto com 10 moradores... são algumas das situações inadmissíveis e ilegais encontradas por uma nova agência especial, criada pela prefeitura de Sydney para combater o aluguel ilegal de moradias.